New clubs. New stadiums. Less tarps. 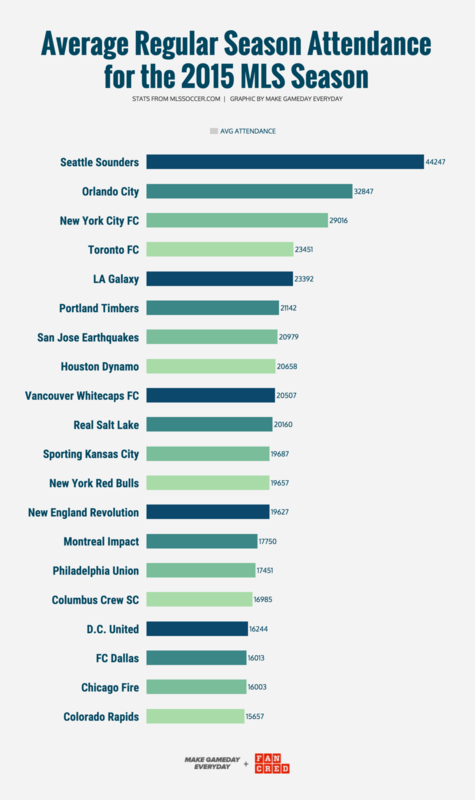 Here's how each club increased or decreased in average attendance per game during the 2015 MLS regular season. Here's the average attendance by team for the 2015 season. 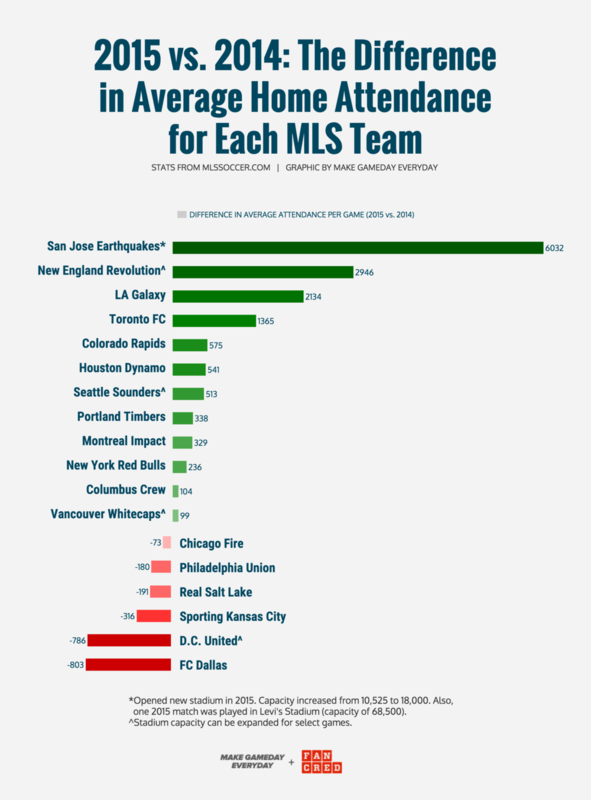 Also check out the average MLS attendance by team over the past 3 seasons.